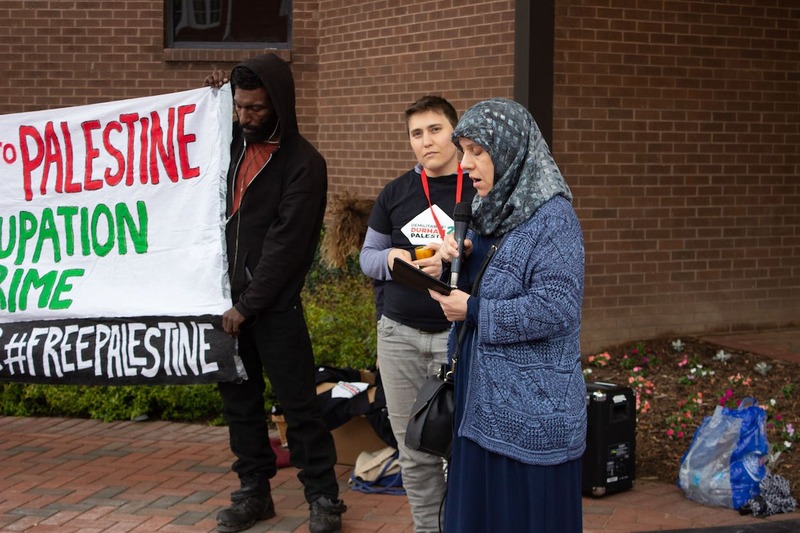 Manal Sidawi of the Muslim American Public Affairs Council reads a prayer during a rally in support of Demilitarize Durham2Palestine’s proposed resolution banning police exchanges between Durham Police and Israel outside Durham City Hall on April 16. The resolution later passed 6-0, making Durham the first city in the country to ban the practice. Credit: Sammy Hanf.